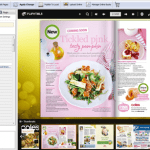 FlipHTML5 is the all-in-one flipbook software which can help to create, publish, share and even sell the flipbook online without any codes. With FlipHTML5 online publishing platform, you can publish realistic responsive CSS3, jQuery & HTML5 flipbook form PDF in minutes. PDF/images to flipbook in minutes. 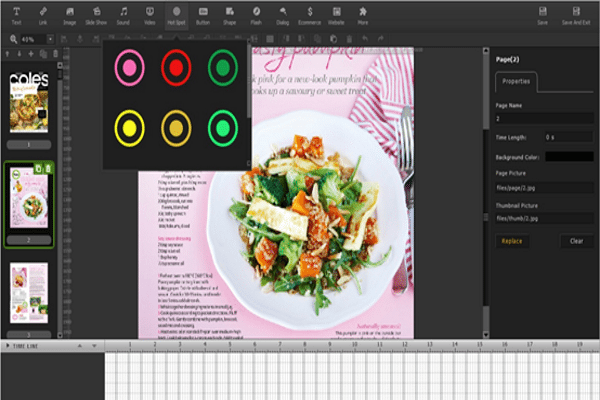 Powerful animation editor to make the flipbook vividly. 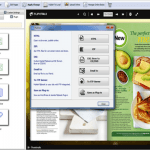 Powerful Page Editor to edit the content with multimedia. Able to custom domain for the FlipHTML5 online flipbook. Online realistic bookcase to manage flipbooks. Integrate Google AdSense and add advertising banner. 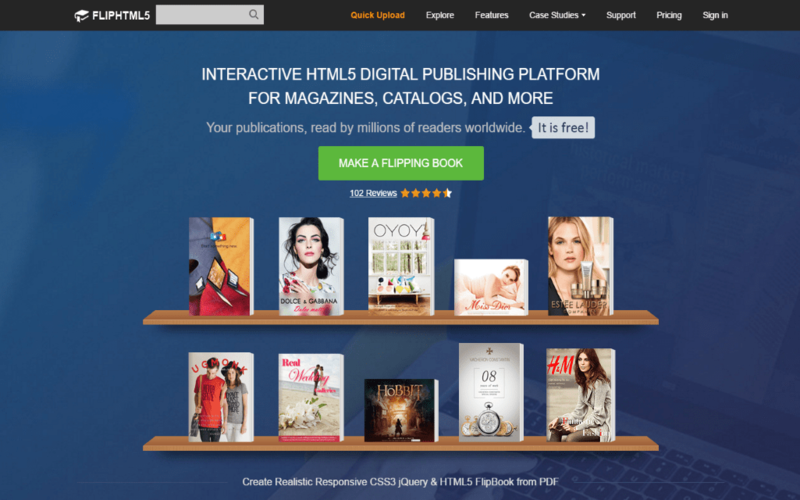 Allows selling publications on FlipHTML5 platform. 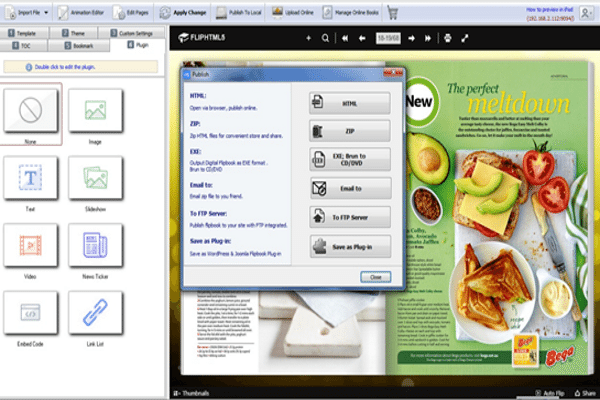 FlipHTML5 is the powerful tool for online content publishing. You can directly import PDF to the software or online platform, and then it can automatically convert it into book-like flipbook with custom settings. You can change the template, theme, background and logo. It also has the capability to add videos, audios, images, links and more to enrich the content. You can also manage the pages in Page Editor. For those who do not prepare the PDF, they can import the images to create the flipbooks. Or just open FlipHTML5 and enter the page editor, to design the elegant content from blank. All designing tools are provided here for you to finish your great works. You can add texts, links, videos, images and deal with the layers just as you want. 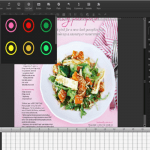 FlipHTML5 takes every designing element into consideration tomake sure your pages are elegant. In the animation editor, you can add special action to the content, such as show dialog, open URL and go to page. For example, the magazine editor will always add a button on the footer of the pages. It will lead the readers to email to friends. With FlipHTML5, the editor can add the Email to function to the button. All in all, the animation effect is easy and without the difficult programming. To improve the brand awareness, you can add your own logo for every flipbook. Or you can use your own banner and custom domain in the cloud platform. FlipHTML5 also allows users to add the economic elements in the flipbooks, even allow you to sell the publications on the platform. ZIP, HTML and EXE format is possible to be done with FlipHTML5. You can also publish the flipbook as Joomla, WordPress and Drupal plugins for websites. For those who own a website, they can publish it on their website with the help of FTP. Or you can directly publish onto the cloud. There is an online bookcase for online publishing management. 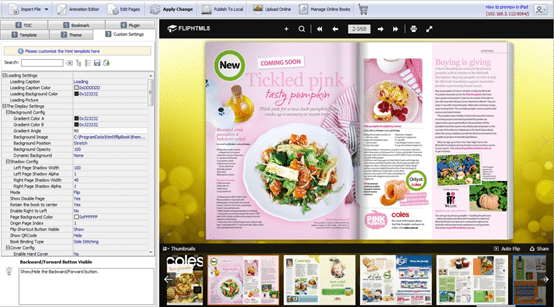 FlipHTML5 will automatically collect all your online flipbooks and display it orderly. The online bookcase can also be branded with the unique logo. You can also embed the bookcase on your website. Want to enjoy the super features for free? Now it come the opportunity. FlipHTML5 are holding the three months platinum plan on this website for 3 days. You can get a code and activate it before March 26. The landing page is: http://fliphtml5.com/special-offer/3-months-platinum-plan-giveaway-t-3-23.php . If you have interest in getting the paid version and take advantage of any new features in the future, you can buy pro, gold, platinum plan with 20% OFF by using the coupon code: M3L-CR4 in this page: before March 27th.